Stephen Sullivan (ssullivan56@icloud.com) (Member 2005-present, Chair 2011-2014) received his bachelor’s degree in Geology from the University of Kentucky in 1979 and his master’s from UK in 1983. His graduate work concentrated in karst hydrogeology under the direction of Dr. John Thrailkill. 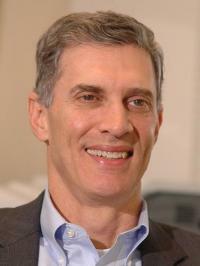 Steve retired as the Chief Financial Officer of The Corradino Group, Inc., in 2014. In addition to serving on UK’s Department of Geological Sciences Alumni Advisory Board, he serves on the Kentucky Geological Survey Advisory Board, UK's College of Arts and Sciences Dean's Advisory Board, the American Cave Conservation Association and Museum Board, and on the West Louisville Economic Alliance Advisory Board. 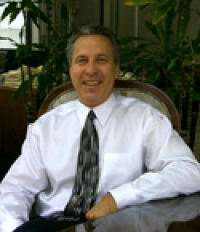 Jay Henthorne (jay@petroevaluation.com) (Member 2007-Present) Jay is a 1962 graduate of UK. He is a long time "independent oil man", currently based in Wooster, Ohio. Jay's recent exploration projects are in the Huron shale and Knox dolomite of eastern Ohio and western Pennsylvania. Jay has been active in AAPG and donated access for the UK Library system to all AAPG online publications in honor of the late Professor Lois Campbell. His wife Mary Beth is another enthusiastic UK alumna. Curt Hull (chull@stoller.com) Curt is VP of Stoller Corp. in Denver. Curt recieved his B.S. in Geology at UK in 1978. Curt has helped lead the Geofund fund raising initiative in 2012-2013. He is an avid cyclist, having completed multiple "Ride the Rockies" bike rides in Colorado. Rodney Metcalf (rod.metcalf@unlv.edu) (Member 2006-2009) received his B.S. degree in Geology from the University of Kentucky in 1979 and his M.S. degree from UK in 1984. His M.S. thesis, supervised by W. H. Blackburn, dealt with U and Th geochemistry in a Grenville-age granite from the Virginia Blue Ridge. In 1990 he completed a Ph.D. at the University of New Mexico; his dissertation research dealt with the origin and evolution of Proterozoic migmatites and related plutonic rocks in the central Santa Fe Range, northern New Mexico. Since 1990 he has be a member of the faculty at the University of Nevada Las Vegas and is currently an Associate Professor. His research draws on the tools of igneous and metamorphic petrology to understand the origin and evolution of the earth's crust. Most recently he has worked in the Klamath Mountains, California in the Northern Colorado River Extensional Corridor south of Las Vegas. During his time at UNLV he has served as both Department Chair and as Associate Dean for the College of Sciences. He spent six years as an Associate Editor for the Bulletin of the Geological Society of America and is currently Secretary/Treasurer for the Cordilleran Section of GSA. His spare time is spent reading, hiking, camping, kayaking and whitewater rafting, interests he shares with his wife Tracey (UK Pharmacy '78). Married for 32 years, Rod and Tracey have three children and one grandchild. Wendell Overcash (overcash2013@gmail.com) (member since 2008 – chair since 2014) received his bachelor’s degree (BS) in geology in 1977 and a professional degree in law (JD) in 1980, both from the University of Kentucky. Wendell worked for Ashland Oil, Inc. and Ashland Coal, Inc. in college. After graduation, he worked for Exxon Minerals, Co. in Denver, CO and Tucson, AZ as a landman tasked with acquiring base and precious mental properties for its nationwide exploration programs. In 1989 he began as a staff attorney with the Commonwealth of Kentucky, Natural Resources and Environmental Protection Cabinet where duties involved programmatic enforcement, research and general legal counsel primarily for the Division of Surface Mining Reclamation and Enforcement and the Division of Water. Wendell is currently registered as a Profession Geologist in Kentucky (339) and licensed to practice law in Kentucky (53170). Additionally, he has worked for Travelers Insurance Co. and Kentucky’s Cabinet for Health and Family Services. Volunteer work includes 20 years of on-hill service to the National Ski Patrol, working at Ski Butler and Ski Paoli Peaks; his current membership is as a life alumni member. 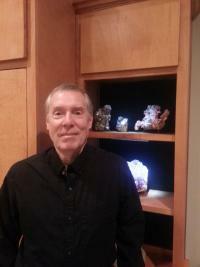 He contracted an incurable case of “Rock Pox” as a young man and remains an avid mineral collector. He resides in Goshen, Kentucky with his wife, Joanne; they have two children, Holly and Erin. Michael Bourque (lamyridge@yahoo.com) (Member 2014-present) received his B.S. Geology degree from UK in 1974 and earned his M.S. in Geology from the University of Illinois in 1977. While at UK, Dr. Vincent Nelson inspired a passion for field work, mentored Mike in the Department and secured a part-time position for Mike at KGS working under Lou Ponsetto. Mike held summer positions with Amoco and Exxon. He began full-time work at Shell Oil in 1978 in New Orleans as an exploration geologist in the Gulf of Mexico, primarily in the rapidly developing deep water play in which Shell has been leader. New Orleans is also where he met Marsha, also an oil geologist and now consulting for ARAMCO. They married in 1980 and have one daughter, Veronica. Transferring to Houston, Mike continued deep water exploration on a global scale, particularly in The Philippines, China, Malaysia, Brazil, Nigeria, and Angola. His last position was leading a Russia New Ventures team while based in The Hague, The Netherlands. Mike retired from Shell in 2008. Most recently, he has consulted for Pemex, the Mexican national oil company. Mike is a member of AAPG and GSA. His favorite hobby is star-gazing from his observatory in Santa Fe, NM. Kit Clemons (kit@lario.net) (member 2012-present) received his M.S. in Geology from UK in May of 2006. His graduate work concentrated on the petrofabric and geochemical analysis of structures associated with southern Appalachian orogenic events under the direction of Dr. David Moecher. Kit is currently Vice President of Geosciences for Lario Permian, LLC, Denver, CO. where he directs the geologic characterization and geologic operation of Lario’s conventional and unconventional assets. Kit’s career started with Pioneer Natural Resources and included assignments on the Permian Basin Asset, Eagle Ford Asset, Rockies Asset and the North American New Plays/Exploration Group. His has primarily focused on the geochemical analysis, geomechanics, fracture characterization, and seismic attributing of the unconventional shale plays. Kit is the author of numerous peer-reviewed technical papers and presentations focused on the exploration/exploitation of unconventional resources. He is a member of several professional organizations and societies, including the American Association of Petroleum Geologists, the Geological Society of America, Rocky Mountain Association of Geologists and serves as a member of University of Kentucky Earth and Environmental Sciences Alumni Board. 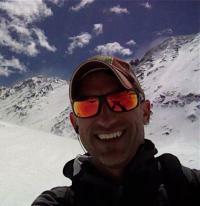 He is an avid backcountry skier, climber, and mountain biker. Kit, his wife Amy, and daughter Sierra reside in Evergreen, Colorado. William Spies (wspies@charter.net) (member 2014- present) received his B.S. and M.S. Geology degrees from UK in 1975 and 1977, respectively. His graduate work concentrated on lateral and vertical distribution of major and minor elements in the No. 11 coal seam of the western Kentucky coal field, under the supervision of Drs. William Dennen, Irving Fisher, and John Thrailkill. Bill worked part-time positions at the KGS and the Institute for Mining Minerals Research. 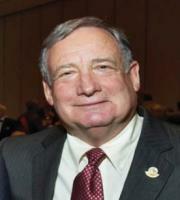 He started his full-time position in 1977 at Amoco in New Orleans as an Exploration Geologist working south Louisiana. In 1980 Bill left New Orleans and moved to Dallas, Texas where he worked first for Supron Energy Corp. and Hunt Petroleum as an Exploration and Development Geologist within the Gulf Coast, East Texas and Rocky Mountain Regions. He retired from Hunt Petroleum in 2008. Bill met his wife Diane in Dallas. They were married in 1982 and have one son, Andrew. 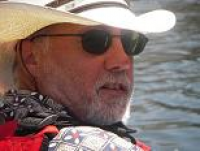 Bill was a member of AAPG for 35 years and a Certified Petroleum Geologist. Currently, he spends his time as a volunteer at a church, nature center, and a food pantry. He and his wife do domestic and international travel and collect mineral specimens when possible. He also oversees the family’s charitable accounts. Tom Spalding (tom.spalding@pxd.com) (Member 2006 – present) received his BS (1980) and MS (1982) in Geology from the University of Kentucky. Tom is Vice President, Geoscience for Pioneer Natural Resources in Irving, Texas, providing oversight for geoscience across Pioneer and managing subsurface geoscience and reservoir engineering integration. Prior to his current role, he served as Vice President, Permian Subsurface from September 2014 and managed the regional subsurface geoscience and reservoir engineering integration for the Permian Division since April 2011. Tom has served Pioneer in various positions since 1997, including Vice President Geoscience Technology in 2010, Vice President North America Exploration in 2004 and Offshore Exploration Manager in 1998. Earlier in his career, he spent 16 years with Mobil working as an exploration and production geoscientist for domestic divisions in Dallas, Houston and New Orleans. He completed his Mobil career working in their international division with emphasis on West Africa exploration. He has been a member of the American Association of Petroleum Geologists since 1981, and current or past member of the Dallas Geological Society, Houston Geological Society, and New Orleans Geological Society. 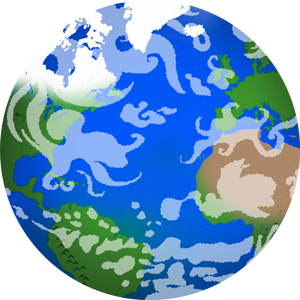 Spalding is licensed as a Professional Geoscientist in the state of Texas. Tom met his wife of 34 years, Linda, at the University of Kentucky. They reside in Flower Mound, Texas and have five daughters: Jenny, Katie, Hannah, Rachel, and Emma. Mike Currie (emptysea56@yahoo.com) (member 2015-present) received his B.S. in Environmental Geology from the University of Virginia in 1978 and his M.S. in Geology from the University of Kentucky in 1981. His master’s thesis concentrated on the ‘Corniferous’ (Sil.-Dev.) in the subsurface of eastern Kentucky, under the direction and guidance of Dr. William MacQuown. Drs. Thrailkill and Rast served on his thesis committee. Mike joined Pennzoil Company as a geologist in Houston after graduation. In 1984, Pennzoil sent him to a 6 month seismic training program. Mike joined Sohio in 1987 as staff geophysicist, working on the company’s fledgling deepwater exploration and development program. Sohio was acquired by BP in 1989. Mike was privileged to be associated with some of BP’s largest Gulf of Mexico oil fields, including Mars, Ursa, and later, Thunder Horse. In 1992, he was transferred to Aberdeen, Scotland, where he worked on several producing fields in the central North Sea and in the discovery and appraisal of the West of Shetlands oil fields, Foinaven and Schiehallion. Mike was employed as both an interpreting geophysicist and as a geophysical specialist, concentrating on extracting geologic data from 3-D and 4-D seismic via AVO analysis and inversion. He was transferred to London in 1996 as a part of a team exploring deepwater Angola, with significant success. Mike also taught the geophysics portion of BP’s two week intensive, internal core course on reservoir characterization, required of all mid-level geoscientists in the company. He was transferred back to Houston in 1998 to appraise and sanction the giant Thunder Horse field. Mike joined Newfield Exploration in 2002 as a team leader of their newly formed deepwater Gulf of Mexico exploration group, and also participated in Newfield’s Technical Services group addressing reservoir characterization onshore assets in Utah, North Dakota, Texas, and Oklahoma. Mike retired from Newfield in 2013 to become a consultant specializing in AVO, inversion, and processing. In February 2014, he joined the staff of his major client, Deep Gulf Energy, as a specialist geophysicist and partner. 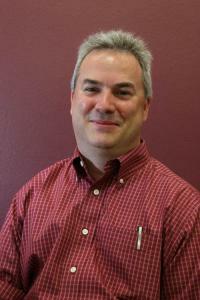 Mike is a member of AAPG, SEG, Houston Geological Society, and is an AAPG Certified Petroleum Geophysicist. He has been married to his wife Lucy for 38 years. They have three sons, Matthew, Scott, and David. Mike and Lucy reside in Fredericksburg, Texas, with Mike currently working both remotely and making frequent trips to Deep Gulf’s Houston office. Robert Flynn (robert.flynn@FFSPaducah.com) (member 2016-present) graduated in 1975 from Lexington Catholic High School and from UK in 1983 with a BS in Geology. Rob has had a multifaceted career, starting in the oil and gas industry working in the Appalachian and Illinois Basins as an exploration geologist during the 1980’s Oil Boom and shifting gears in the 1990’s into environmental characterization and remediation. Rob is currently working as a senior geoscientist at the USDOE Paducah Gaseous Diffusion Plant in Paducah, Kentucky. Rob credits much of his success to his mentors in geology, Dr. Bill MacQuown, Frank Walker, and Garland Dever, who’s early guidance inspired Rob to pursue a career in the geological sciences. Susan Eriksson (susan.eriksson@gmail.com) (member 2016-present) grew up in Lincoln County, Kentucky and is a graduate of the University of Kentucky with a BSc in geology. She also holds an MSc from Stony Brook University and a PhD from the University of the Witwatersrand, South Africa. She currently is interim Associate Dean for Research in the College of Design, University of Kentucky. Before returning to UK, Susan was Associate Professor in the Department of Geosciences at Virginia Tech and Associate Dean in the College of Arts and Science. 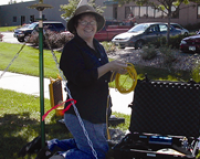 She was the first director of the Virginia Tech Museum of Natural History and founded the Education and Outreach program of UNAVCO, the geodesy research consortium and the NSF-funded facility (2004-2010). Her international experience includes research in South Africa and Australia and directing the Education and Outreach at the Earth Observatory of Singapore (2011-2013). She has planned and implemented over $5m in grant-funded programs and has served as reviewer and panelist for many NSF science, education and international programs. She recently consulted in planning and evaluating science programs and grass-roots, arts organizations with strategic planning, grantwriting and program evaluation. 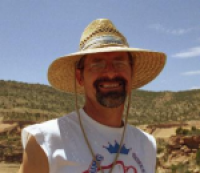 Douglas Gouzie (DouglasGouzie@MissouriState.edu) (member 2016-present) is a Professor of Geology at Missouri State University, with expertise in the development and environmental management of cave and karst systems. 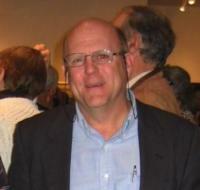 He earned his PhD in Geology in 1986 from the University of Kentucky and his BS in Geology/Geophysics from UK in 1981. Prior to joining Missouri State’s faculty in 2005, Dr. Gouzie’s career included a faculty position at Emory University, work as a private environmental consultant, and over ten years of government service, including both the federal government’s Centers for Disease Control and Prevention and Agency for Toxic Substances and Disease Registry, and the California Environmental Protection Agency. Dr. Gouzie has performed or managed dozens of groundwater investigations involving karst or fractured rock aquifers, along with a number of contaminated site investigations and environmental health evaluations of sites on, or proposed for, the NPL (Superfund) List. He has a broad background in environmental monitoring, remediation, and management and is a Registered Professional Geologist in Florida, Georgia, Missouri, and North Carolina.